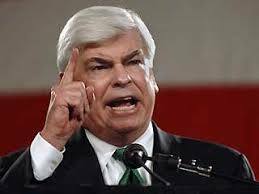 Senator Christopher Dodd, the senior Democrat from Connecticut and one-time presidential hopeful, will not seek reelection in 2010 which could have a direct effect on hedge funds and how they are regulated. As chairman of the Senate Banking Committee, Sen. Dodd wielded a great deal of influence in how upcoming financial reforms would play out. Although he is a major recipient of campaign contributions from investment firms including hedge funds, Dodd has been very vocal in the last few months on stepping up regulation of hedge funds and private equity firms. Senator Dodd's potential successors may be even more strict in dealing with the hedge fund industry. In particular, Dodd was blasted for taking a loan from subprime mortgage firm Countrywide Financial, and for allegedly smoothing the way to allow American International Group executives to receive large bonuses after the insurance company received billions in government bailout money. Dodd has been one of the biggest recipients of Wall Street and hedge fund cash in the form of campaign contributions. But, perhaps in light of the criticism of him, he has been much more actively pushing strict supervision of the hedge fund industry in recent months.